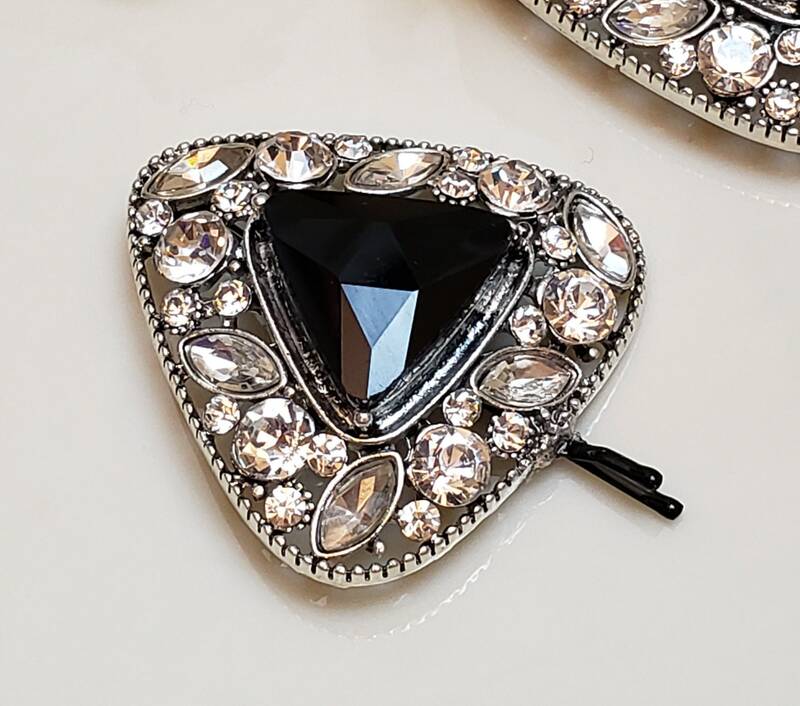 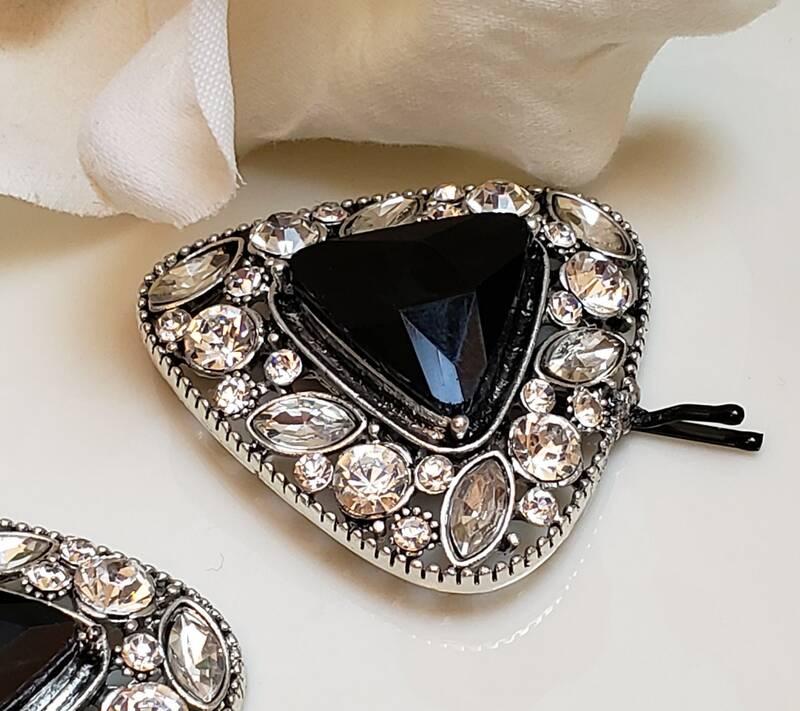 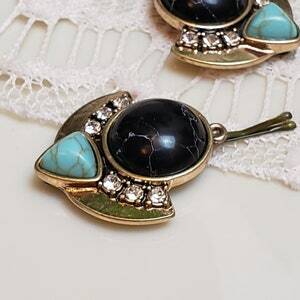 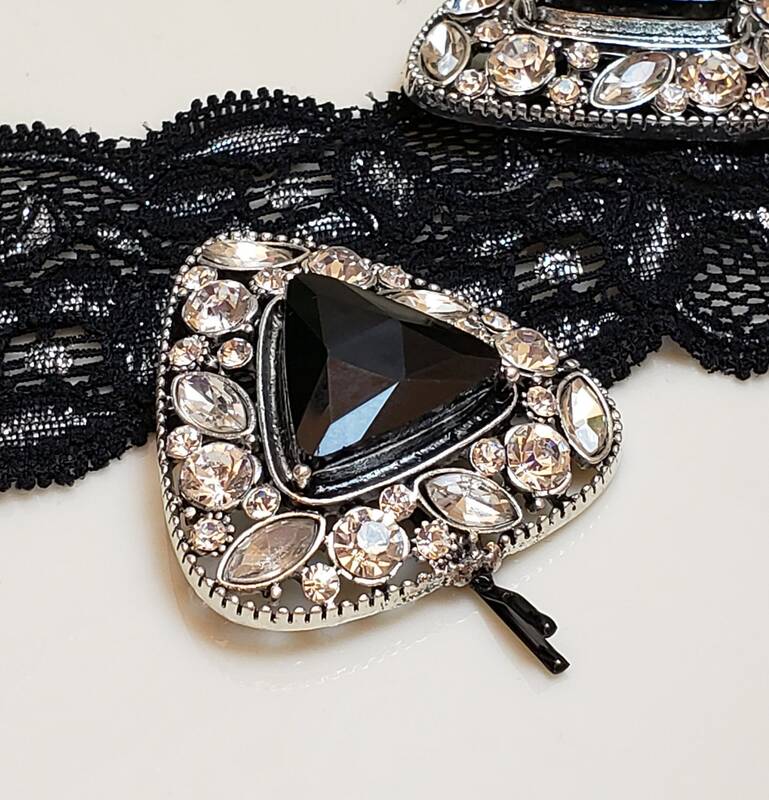 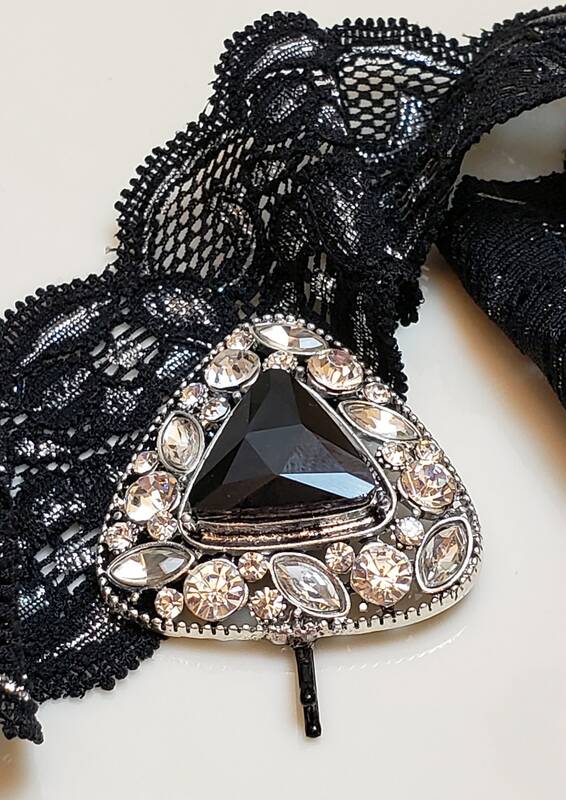 Stunning modern style large tichel and hair pin featuring a large onyx like stone surrounded by clear diamonds stones is an artfull arrangement! 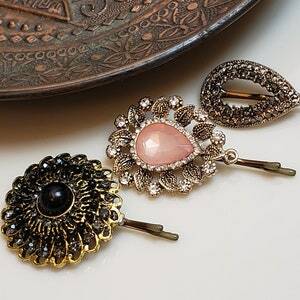 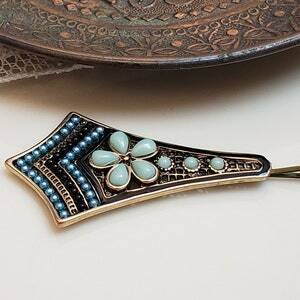 Pins upgrade your look in seconds and give a polished put together look! 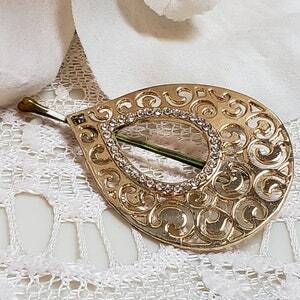 Decoration measurement: 1-5/8" x 1-5/8"